Using time specific training like an EMOM (every minute on the minute) or every 90-sec. is a great way to improve your bodyweight strength or gymnastics skill! So now you’re probably asking yourself how do I do it? Pick a skill or strength you want to improve! Time-specific training for bodyweight and gymnastics movements is excellent for making improvements while maximizing your time! You can use it to get stronger at movements like a strict pull-up or push-up. If you already have a good strength base and want to improve your gymnastics skill, time-specific training can also be used to improve your kip and increase your practice reps in a fatigued state! Scaling Options: Eccentric (control downward movement) Push-ups, Banded Push-ups, Shoulder Taps. Pick your rep scheme and rest time! The longer you rest, the more recovered you will feel! In most cases repeating your exercises every 90 seconds to 2 minutes will be ideal. If you are looking to improve your ability to complete more reps when you’re fatigued, you could repeat the movement every minute! Keep in mind that if you repeat the reps each minute for 10 minutes that is 10 total sets! If you are focusing on the foundation of strength, I recommend keeping the reps 5 or below. If you are new to kipping I recommend 3-5 to allow your body to start to feel the motion! 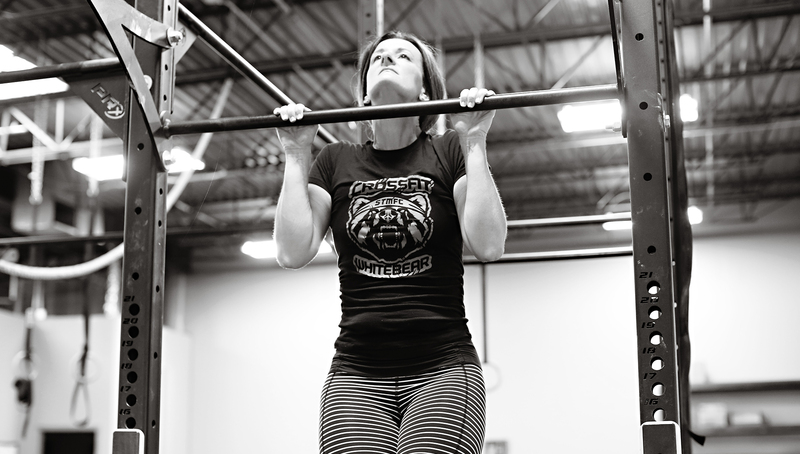 If you have several strict pull-ups, push-up, Handstand Push-ups, kipping pull-up, BMU, etc. and you want to be able to do more in a workout then picking a higher rep scheme will help you improve your stamina. Make sure you have enough time to recover! People often think they need to increase each set each week, but that’s not the case! I recommend only increasing your reps on 1 to 3 sets each week. Below illustrates how you can increase reps from week to week! The idea is to increase slowly, and set yourself up for success! Say you completed the example above with your goal of all three reps for five sets. You could then do four more weeks of 3 reps and do them every minute rather than 90 seconds. If the reps still felt manageable, you could also increase the reps as shown above. 1 strict HSPU + 1 kipping HSPU or Eccentric Hanstand Push-up. Adding time specific training to your program is a great way to focus on a skill or your strength without taking up too much time in your busy schedule! If you think this type of training would help you conquer your goals, but it’s too much to think about, please let us know! We believe the best way to achieve your goal is to work with a coach to build a program designed for you! If you would like to personalized programming talk to a coach in class or email info@bearfitnessmn.com.